Window Bracket Width: min. 19.7" or 38.2" to 47.2"
The Washable Dual Filtration System filters dust, pet dander and hair from entering the unit - Protects & extends the life of this AC bringing you value, while also helping to reduce impurities in the air. The Filters are washable and easily cleaned under a faucet. This removes the need for replacement filters. There's also a Filter Clean Alert to remind you when it's time to clean the filter. 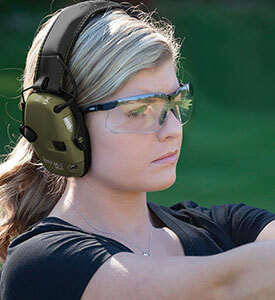 The MO08CES/ MO10CES Compact Series is one of the lightest in its class weighing no more than 45/49 lbs. This selection comes with smooth-gliding wheels that are capable of moving the unit from room-to-room. 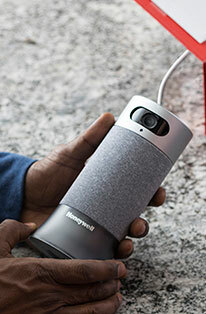 Reduce energy consumption of whole-house central air conditioning by setting up a Honeywell Portable AC in rooms that you actually use. All accessories are included for a quick installation on vertical or horizontal windows. Roll the AC to your preferred cooling area, set up the window kit, switch the AC ON and Voila! Immediate cooling without the heavy lifting of traditional window AC's. 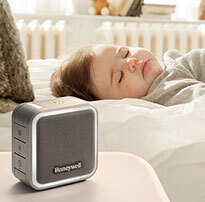 The Honeywell MO10CESWS Portable AC's dual motor technology means lower noise levels. At the highest speed setting, the Compact Series portable ACs produces between 50 to 53 decibels (depending on the model BTU). That's about the sound level of an average conversation between two people in a quiet room! 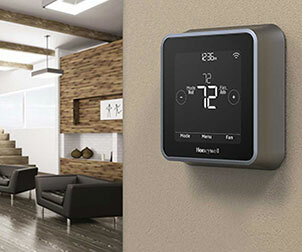 Enjoy simple & precise room climate control with the Honeywell Portable AC Smart Digital Thermostat system. Clear digital controls & a full function remote control make it easy to change settings from across the room. The Self-Evaporation system means bucketless operation. In higher humidity rooms, the unit is equipped with dual drainage options offering you flexibility. A continuous drain system can be set up in minutes when used as a Dehumidifier. At the end of the season, simply roll the AC into a storage room until next time! Product Dimensions: (W x D x H): 14.6 x 13.5 x 27.7 in.